CiCis is a buffet restaurant chain that specializes in pizzas. The company owns more than six hundred corporately owned and franchised restaurants located in thirty-five states. The restaurants primarily include pasta, salads, desserts, and a variety of pizzas in its menu. There are more than twenty varieties of pizzas served at the restaurants, and almost all of them are priced at five dollars per adult buffet. Founded in 1985, the company has its headquarters in Coppel, Texas. The menu served at the restaurants owned by the company also includes other side dishes such as wings and chicken noodle soup. Bacon Cheddar, BBQ, Alfredo, etc are some of the pizza varieties on offer. There are currently 5 consumer reviews about CiCis available. Share your review. The CiCi's in The Colony TX has a person that works there that has harassed her co-workers and has even caused bodily injury to a co-worker. She was fired and then RE-HIRED!!! The employees are all concerned but is scared of Linda the manager because she is "buddy buddy" with her. I am hoping that someone from the cooperate office reviews the manager and her practices at this facility! I went to the cicis pizza at international drive,and on the front window they said on the sign that they had chicken wings.when I ask if we could order them they said ,they don't have chicken wings anymore.if they don't have it why is there a sign on the front window .and every time I go up there I have to wait 30 minutes for our pizza.this cicis I am talking about is at 8540 south international drive in Orlando,Fla.I am sorry .and the manager didn't have time to talk.but the associates was very cleaned.and nice.my address is 5017 Polaris street orlando.fla.32819,and my number is 4078445076,. 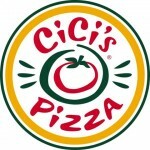 Please take a note that you are about to post a public review about CiCis corporate office on CorporateOffice.com. This review will be public, so please do not post any of your personal information on this website. If you would like to contact the corporate offices of CiCis, please use their contact information such as their phone number, website, and address listed above to contact them. However, sometimes staff from CiCis headquarters do read the reviews on this website.